Whether in the animal kingdom or human society, a common meeting ground is vital for being social. Since early times, a market has been the heart of civilization as people would meet at the town square for selling & buying goods as well as social interaction to remain updated to on-going events around them. With the introduction & rising distribution of newspapers, the social aspect of a market was replaced. Further down the road, mobiles and social media replaced newspapers and people started relying on them to get their fresh dose of news. Instagram’s newest feature titled “Checkout on Instagram” brings back the social aspect into a marketplace. 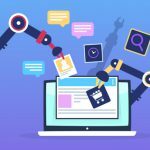 Instead of the users being redirected to the brand’s link when they click on the brand’s Instagram post, they can directly make an in-app purchase for specific products shown on the post. At the time of writing, Instagram is testing out this feature for 20 brands which include many fashion and consumer-goods companies such as Adidas, Burberry, Dior, H&M, Michael Kors, Nike, Outdoor Voices, Uniqlo and Zara. 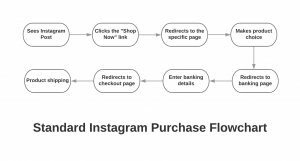 How ‘Checkout on Instagram’ impacts end-user? With ‘Checkout on Instagram’, the shopping experience is made faster by reducing the overall number of clicks as well as distractions. Additionally, since the payments are also made within Instagram, the data breach paranoia is reduced considerably. So in a nutshell, the customer makes their choice from Instagram, makes a purchase from Instagram, receives a payment success email from Instagram and the product is shipped from the brand’s warehouse. 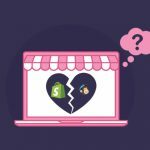 How ‘Checkout on Instagram’ impacts brands? Brands can benefit greatly by this new feature as their Instagram profile doubles up as a storefront in itself. Great user experience translates into improved conversions and that in turn, increases sales. Brands can promote their products using real-life photographs with tags to associated products. Interested customers can click the image to interact with the choices they have and make the payment faster. Moreover, by observing what products, styles, and sizes, your customers purchase, you can further fine-tune your buyer’s persona and then refine the products you offer on your profile. How QeRetail can help you? This feature is currently restricted to 20 brands and available in U.S. cities. Yet going by the minimum requirement for the previously mentioned feature of tagging products on your post, connecting your Instagram profile to your Facebook store would be necessary. We can help you with setting up a Facebook store as well as adding product information. Moreover, Instagram being mobile-first social media platform, it is important to upload high-quality images of your products. 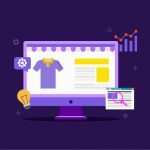 QeRetail’s Image Optimization service can help you ensure that your products look the finest when viewed by your followers. Drop an email to us at info@qeretail.com to understand better how we can help you.